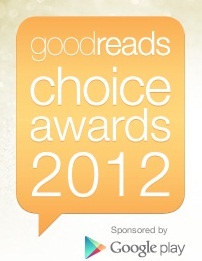 The Goodreads Choice Awards are voted on by you, the reader. Here are the winners for 2012. Most of these books are available here at the Tunxis Library. Enjoy! This entry was posted on December 27, 2012 at 11:24 am and is filed under Cool Web Resource, News. You can subscribe via RSS 2.0 feed to this post's comments. You can skip to the end and leave a response. Pinging is currently not allowed.